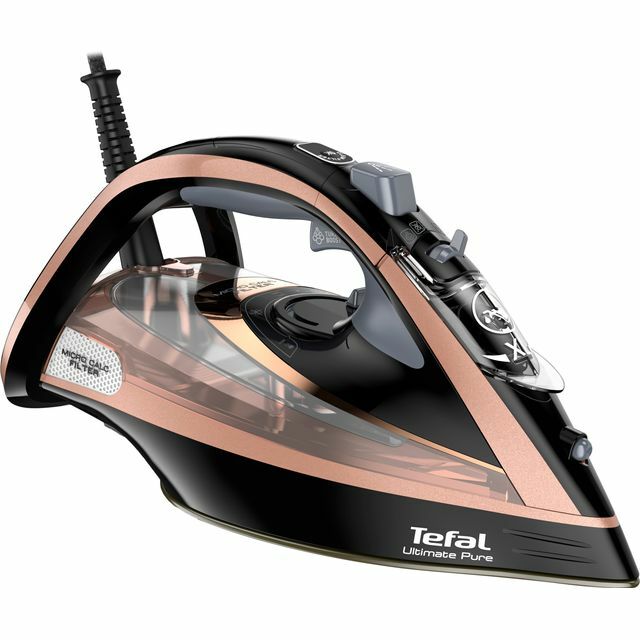 This Tefal iron not only gives great results, but it tackles every tough crease with total ease. Because it has a Durilium Airglide soleplate, it delivers a much smoother glide, while its 55 grams per minute steam output means it’ll blast out those tough crinkles in no time. It also has a handy precision tip, which makes getting under shirt collars much easier. If you have any delicate items to straighten out, the vertical steam option lets you can do so without taking them off the hanger. And, thanks to the anti-calc collector, it prevents the build-up of calcium to keep it working at its best. Great iron, best one I’ve ever bought. Breezes through a pile of ironing in no time at all. What used to be a real chore is strangely enjoyable now....well worth the money.